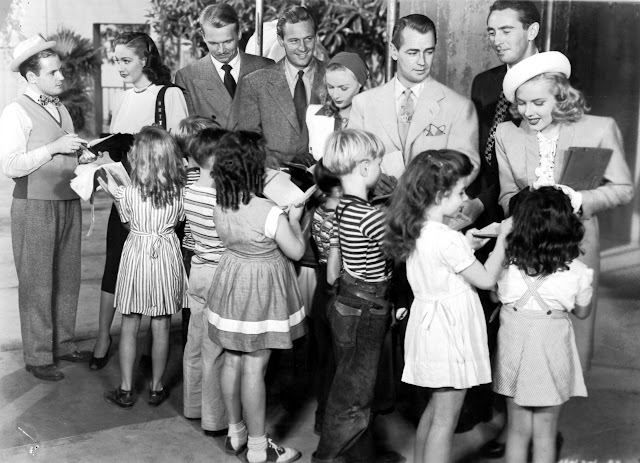 Even those normally behind cameras joined in Variety Girl cameo-ing. 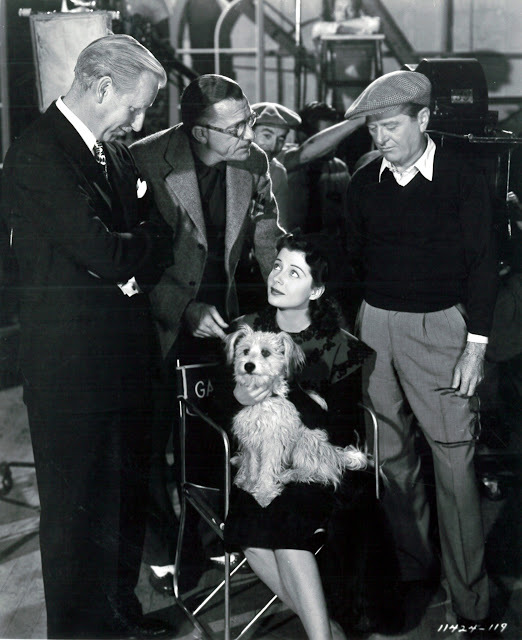 Being Hollywood-set, the musical comedy went for authenticity of life on the lot, thus directors Mitchell Leisen, George Marshall, and Cecil B. DeMille joining fun. 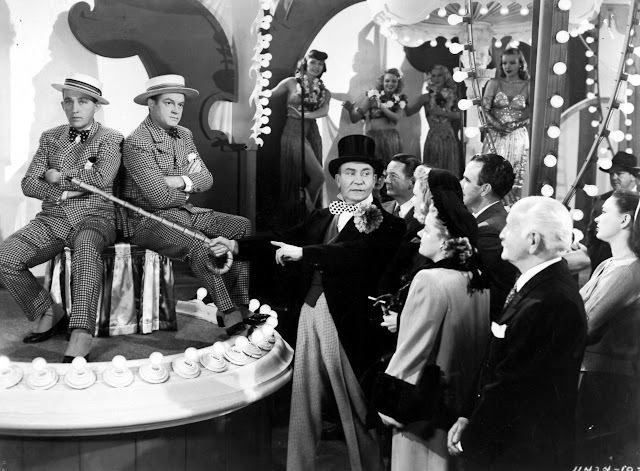 Leisen plays himself as a droll observer of filmland foolishness, he and scribe Frank Butler, who'd just written Golden Earrings for Mitch, sitting still for slapstick at the Brown Derby. Sport coat-clad and trading seen-it-all winks, the two neatly sum up how creative hands guiding star talent liked to see themselves. DeMille, of course, is something else, a colossus bestriding the lot that not even its leadership can fire, tossing studio head "R.J. O'Connell" (actually the name of Variety International's chief at the time) off Unconquered's set where the great outdoors amounts to process mock-up, itself a by-then DeMille signature. 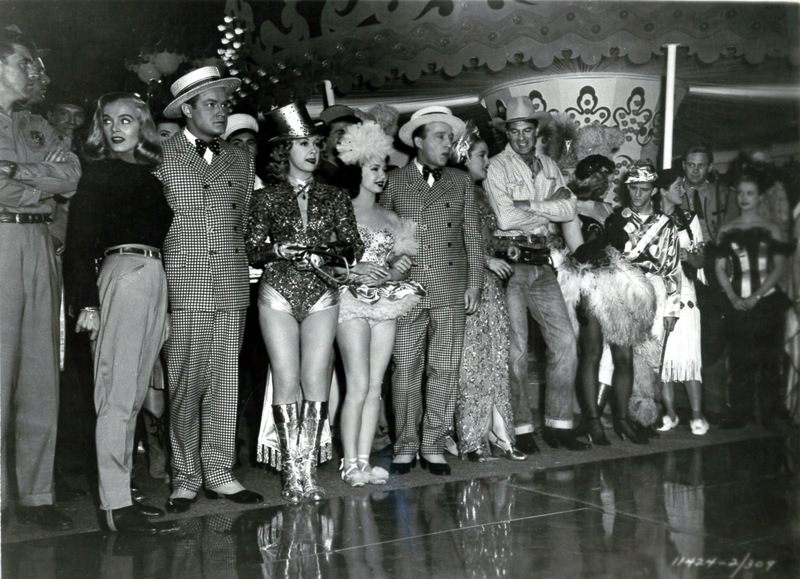 The gag of CB being all-powerful was used before in 1942's Star-Spangled Rhythm and numerous shorts, conviction helped by fact these DeMille cameos pretty much reflected the truth of his awesome authority. George Marshall is the joshing antidote, and of guest directors, the one likeliest to be congenial if actually met (GM is also Variety Girl's credited helmsman). He enters the studio spa in a baseball cap and casual zip-up jacket, executes a deft towel-snap at John Lund, then does a comic fall in a best tradition of staging such over laff-years at Fox (two-reelers) and later with Hal Roach. Marshall has a get-it-done attitude I'd say reflects career-long smooth direction of numerous and expert entertainments. Guys like him were the real beating pulse of the biz, taking jobs assigned and always turning in competent result. Marshall could have been a more than successful actor given the inclination: check out his menacing army cook in Laurel and Hardy's Pack Up Your Troubles. Variety Girl's story is admittedly dumb and sometimes irritating. I began fast-forwarding to the cameos after Olga San Juan got on my last nerve. This might have been a really good backstage comedy, like WB's It's A Great Feeling, without her. 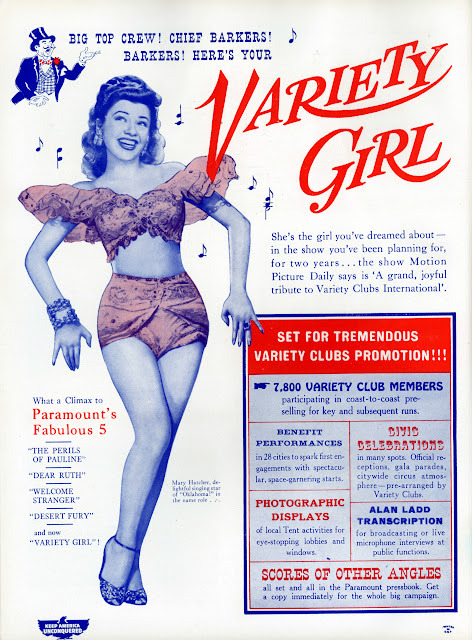 San Juan ("The Puerto Rican Pepper Pot") gives it the Betty Hutton try in Variety Girl; all parts featuring her drown under bombast and too much-ness. When a whole movie turns on a simple misunderstanding, it's time to blow the whistle. Variety Girl has Olga mistaken for likeable and Kathryn Grayson-like Mary Hatcher; we wait the show's entire length for that snafu to sort out. Some guest stars are in for a pound, others for a penny. 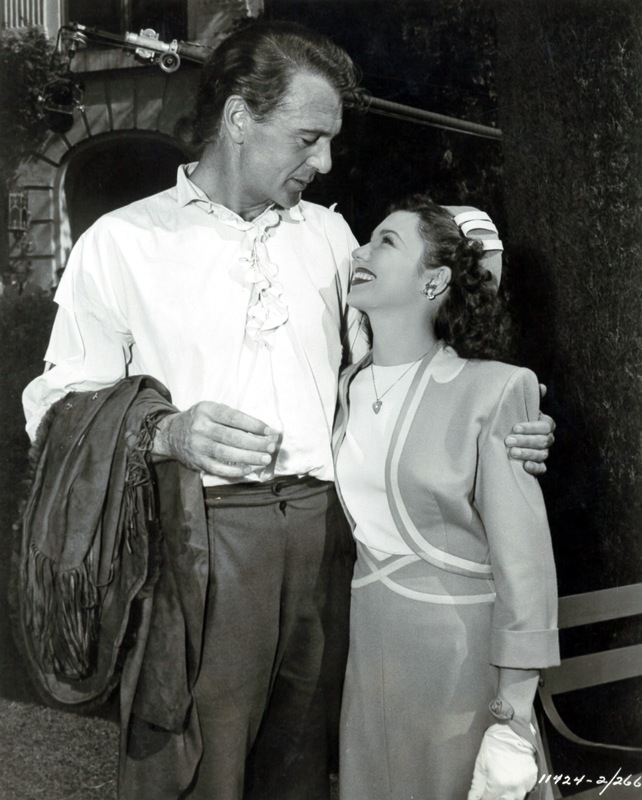 There are short bits with Ray Milland and Paulette Goddard, he in a clever Lost Weekend-inspired gag, she in accustomed bubble bath (a stealth reminder of Unconquered). Gail Russell is seated on a set and surrounded, if not suffocated, by execs, a fragile pose and portent of how she'd turn out. Burt Lancaster and Lizabeth Scott, both in Desert Fury attire, do a woefully unfunny routine. Whatever star objections there were to bad material in Variety Girl was put down by reminder that it was all toward a worthy charity, so good sporting this time trumped egos. As to what's good, there is Hope and Crosby golfing on Para's manicured lawn and swapping digs at peak of precision for both. They're also in for a song and japery at the curtain, the two by far a best guest thing in Variety Girl. 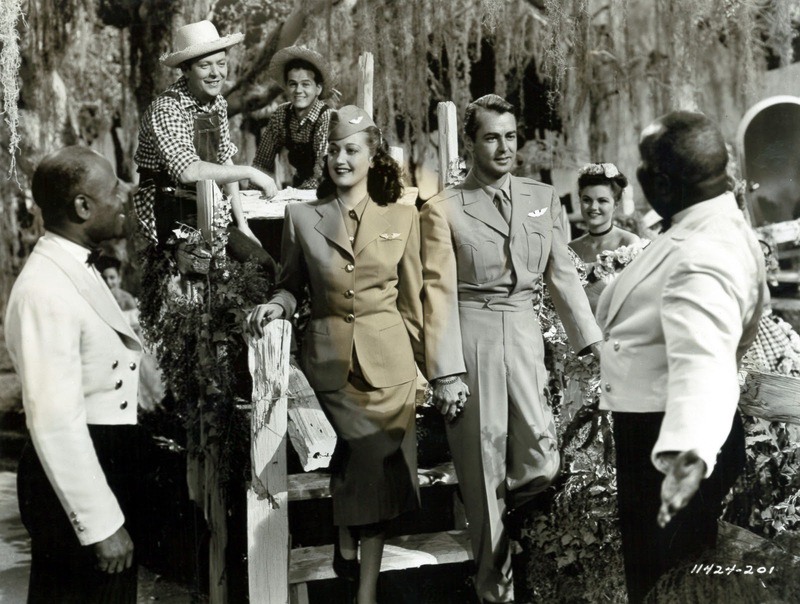 Alan Ladd hijacks a plane, it seems, but what he's after is chance to sing (well) and dance with stewardess Dorothy Lamour, theirs a delightful sidebar. Frank Ferguson as fictional studio head is ridiculed by non-stop immersion in water, a routine quickly gone tedious, plus ribbing from Barry Fitzgerald and Robert Preston, all this to demonstrate how democratic studio lots were and that even big shots were subject to occasional jest. 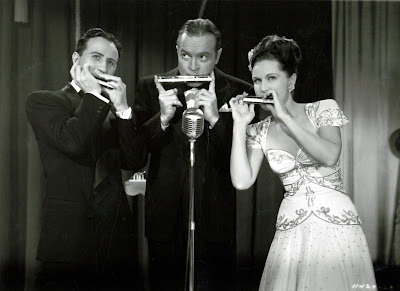 One thing trades complemented was freshness of a segment that showed voice and effects recording for a George Pal Puppetoon, a Technicolor highlight of an otherwise B/W Variety Girl. Mores the pity, then, that present day versions do not include it in original multi-hues. 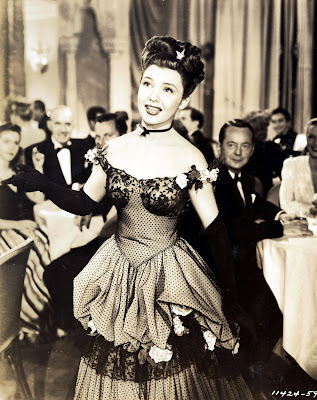 Lead lady Mary Hatcher was obviously poised for bigger things beyond Variety Girl (she'd been in Broadway's Oklahoma), this a glitter showcase for her modest talent, but star-making at Paramount was by '47 juncture a thatched roof, and she'd soon be gone to B's. Variety Girl served its function and would be forgotten, syndication a next stop from 1958 and Paramount's sale of the pre-49 library to MCA. 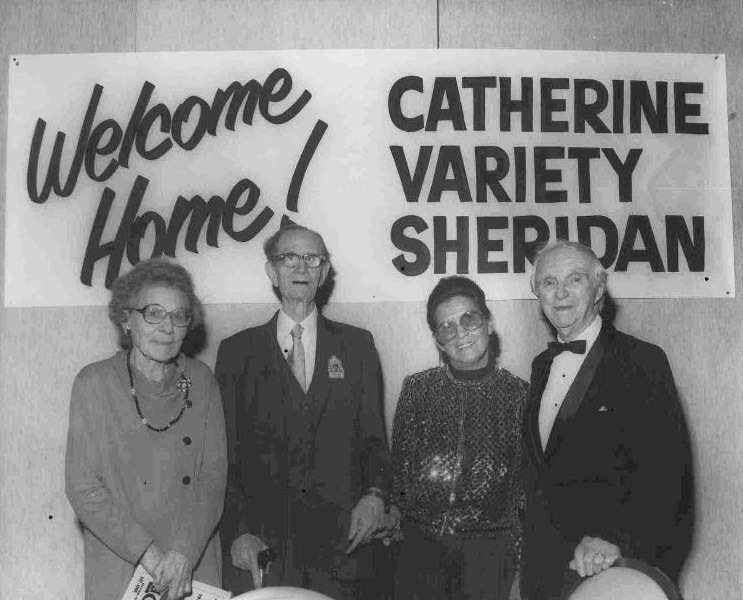 What did persist was interest in Catherine Variety Sheridan. Turns out she'd gone to nursing school, then joined the Navy, with service from 1951 in Korea, later Saigon, and eventually twenty years living in the Orient. Catherine/Joan had four children. Her married name was Joan Mrlik. She never tried to locate her birth mother. Following the death of C/J's two primary benefactors at Variety International, no one was left within the organization who knew her whereabouts. A search finally made contact through intermediaries, and ongoing persuasion finally induced the first Variety girl to attend the group's 1980 convention in Los Angeles, where she was an honored (and surprise) guest. Joan Mrlik, nee Catherine Variety Sheridan, died in Charleston, SC in 1994. Variety Girl, meanwhile, is newly released on Region 2 from the UK. Quality is OK, but could use a fresh transfer, preferably one with the color sequence restored (Note to archives: does it still exist?). I have an old MCA 16mm print of "Variety Girl" and unfortunately the Puppetoon sequence is in B/W. A friend of mine does have the sequence, in color, in 16mm Kodachrome, though he's not willing to part with it. I'll ask the preservation folks at Universal if they have anything and will report back. 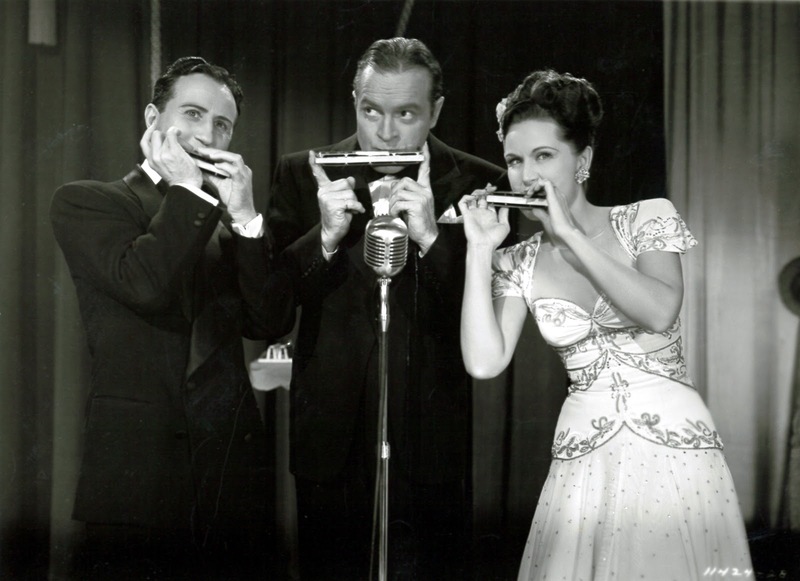 I sat through Variety Girl when I was home sick from school years ago, drawn mainly by a chance to see Spike Jones. Saw the last half of at Cinevent a few years ago. 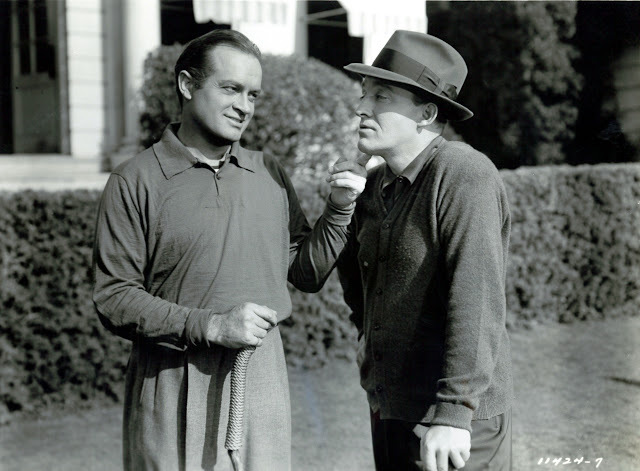 My review: game Bob & Bing, poor Alan Ladd having to bray Tallahassee like a mule.